Democrats are in a rough patch. Not only is their unity tour falling apart as newly minted DNC Chairman Tom Perez gets booed at a number of rally stops around the country, the party leader also just marginalized nearly a quarter of of Democrat voters. 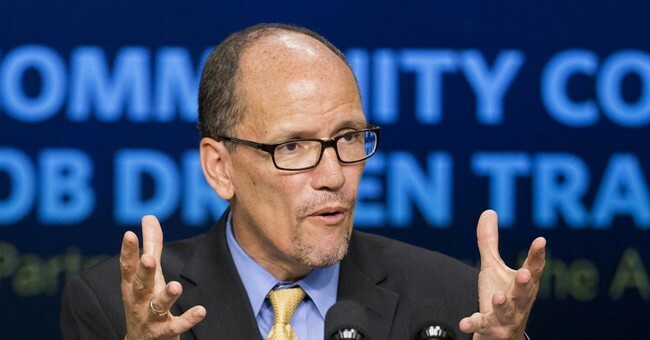 "Every Democrat, like every American, should support a woman’s right to make her own choices about her body and her health," Perez said last week, demanding all Democrat candidates support abortion in order to receive support from the DNC. According to a recent Marist/Knights of Columbus poll, Perez' comments further divide an already fractured party and isolate pro-life Democrats. Significant majorities of Americans oppose the use of tax dollars to fund abortions and want the Supreme Court to rule in favor of abortion restrictions, according to a new Marist Poll sponsored by the Knights of Columbus. Americans overwhelmingly oppose the use of tax dollars to support abortion in other countries (83 percent). More than six in 10 Americans (61 percent) also oppose the use of tax dollars to fund abortions in the United States. This includes almost nine in 10 supporters of President Donald Trump (87 percent) and nearly four in 10 supporters of his presidential opponent, Hillary Clinton (39 percent). The poll demonstrates that there is a clear bipartisan consensus on limiting abortion to – at most – the first trimester, with a majority of Clinton supporters (55 percent) and more than nine in 10 supporters of President Trump (91 percent) saying they support such limits. Among Americans overall, nearly three-quarters (74 percent) want abortion restricted to, at most, the first trimester. With Clinton's stunning loss in November as a result of low base turnout, Democrats need every vote they can get. Perez certainly isn't helping his Party get there by demanding all members support out of touch abortion policies.